I read something a few weeks ago that caught my attention. The title of the article was “Pastor, Are You Too Transparent?” I clicked on it and read the article. The gist of the author’s writing seemed a bit jaded, but it was presented well. When I read that one statement, I closed the tab on my browser and thought I might offer a few thoughts. All of these thoughts are best captured in FIVE WORDS – What a bunch of poop! I know firsthand that this world couldn’t care less about our education, ability to read Greek, look great in skinny jeans (I just crossed a line there) or have an intellect that would marvel Einstein. I know that when you expose a weakness, folks usually already know it’s there. When you open the windows and doors to your heart, folks can relate to you and your own challenges. I know that to share your hurts and worts, folks can engage you at a level far deeper than what you are wearing. That’s not just true for pastors. 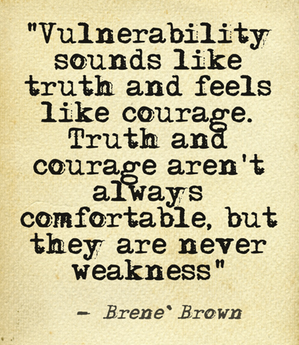 That kind of vulnerability allows folks to actually know you and BELIEVE YOU in every facet of your life! I want to believe the best in people. Their ability to be personal, present and vulnerable allows that to happen naturally. You know, not everything on the internet is true, right? Go ahead, get naked with your emotions and take your lumps. It’s worth it. You might even find your greatest fan or friend in the process.